*One pod water activated face paint. 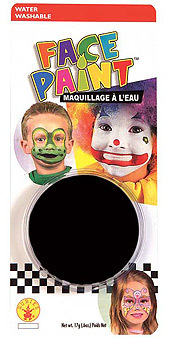 Black face paint can be used for a variety of costumes. A Spooky skeleton, the grim reaper, a cat, Venom from Spiderman?the possibilities are limitless!